Jamie Jilynn Chung is an actress, blogger and reality television personality from America. She made her first TV show when she was selected for the San Diego-based fourteenth season on MTV’S reality show The Real World. Chung later worked in several films like Hangover II, Dragonball Evolution, Grown Ups and Premium Rush. She has appeared in the TV series The Gifted- a TV series base Marvel Comic's X-Men properties. It is connected to the X-Men film series. She also runs her own fashion blog What the Chung. Jamie Chung was born and raised in San Francisco, California. 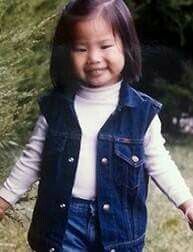 She is the second generation of Korean-American parents who moved to the United States in 1980. Her parents had a restaurant business. She has a sibling. She completed her high school diploma from Lowell High School in 2001. She then attended the University of California, Riverside. She graduated with B.A. in economics in 2005 and she was a member of Kappa Kappa Gamma community. 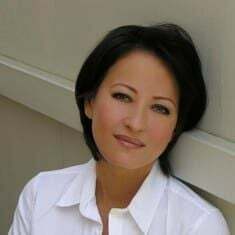 Jami Chung’s acting career started off when she did a role in Veronica Mars and gradually she got other TV series like Days of our lives and Greek. Later she started in feature films like Grown Ups, Sorority Row, Sucker Punch, Hangover part II, Premium Rush, Princess Protection Program and was widely acknowledged. Chung appeared in the leading role in ABC family television miniseries Samurai Girl in 2008. In 2011, she provided the voice of Aimi Yoshida in the video game X-Men: Destiny. In 2014, the actress provided for animated movie GoGo Tomago in the Disney's film Big Hero6, which won the Academy Award for Best Animated Feature film. In 2015, Jamie appeared in seven episodes of TV series Resident Advisors. In 2017, she started appearing in the recurring role of GoGo Tomago in the animated show The Big Hero6: The Series. Jamie Chung’s net worth is $5 million, according to the Celebrity Net worth. She has garnered this figure mostly from Disney’s animated series and films. Her net worth is above than her husband who has $3 million net worth. The couple resides in a lavish house in New York. They also have a Mercedes Benz car valued $48,600. Her films and TV series has grossed over $5 billion in total. In 2011, she appeared in the second installment of the comedy film The Hangover’s, Hangover II, which grossed over $568.8 million worldwide. Two years later, she reprised her role in the final part of the film, The Hangover III which collected $362 million at the Box Office. In 2014, she lent her voice for the Disney’s animated film, Big Hero 6 which also earned $657.8 million at the worldwide. In the movie, the actress played the role along with Ryan Potter, Scott Adsit, Daniel Henney, and T.J. Miller. 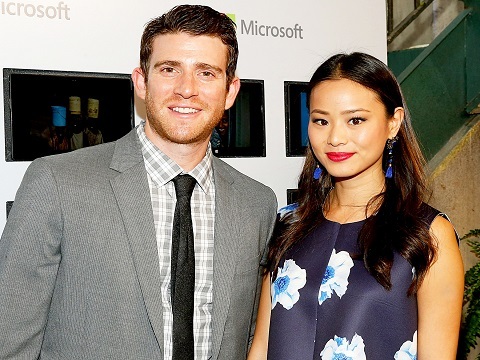 Jamie Chung is married to actor/musician Bryan Greenberg. They have been married since October 2015. They started dating in 2012 and got engaged on a trip to San Fransisco in 2013. They wedded in 2015 on Halloween at El Capitan Canyon in Santa Barbara in the presence of their family and friends. Her husband, Bryan Greenberg, is an actor and singer who is known for his role as Ben Epstein in the HBO original series How to Make It in America. 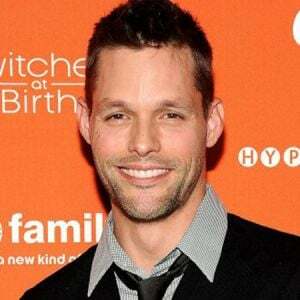 He has appeared in numerous films and TV series like One Tree Hill, The Perfect and The Good Guy. Jamie Chung is also a passionate blogger who shares her experience and advice related to food, travel and other related topics at her blog, What the Chung. She has a huge fan following on her Instagram account with 1.3 million followers, as of 2019. Jamie Chung stands at a height of 5 ft 6 in or 168 cm. Ethnicity: she is of Korean-American heritage.